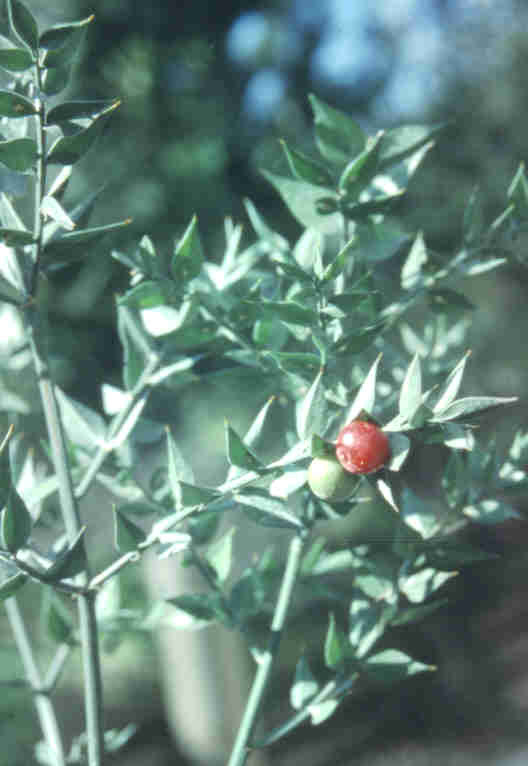 Ruscus has separate male and female plants. The flowers appear in the middle of the cladopylls and the female flowers develop into red berries. The specific epithet name aculeatus means prickly. Leaves are smaller than Holland or Israeli ruscus.